Julie holds a Master, legal studies degree from Sandra Day O'Connor College of Law at Arizona State University, a BA in organizational administration/organizational leadership from Chapman University, Brandman Campus, and obtained her AA degree and paralegal certificate from Coastline Community College as well as certificates in business, HR, and supervision/management. She holds the NALA professional designations of Certified Paralegal and Advanced Certified Paralegal (Trademarks and Contract Administration/Management) as well as Professional in Human Resources (PHR) and SHRM-CP. 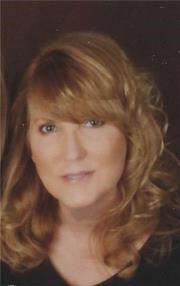 Julie has been a member of OCPA since she began her paralegal studies in 1992. She currently serves as Secretary and has served as director, CP review course chair, corporate/real estate section chair, intellectual property section chair, NALA liaison, VP Administration, VP Policy and President. She is a graduate of the NALA LEAP (Leadership Enhancement and Preparation) program and recipient of the NALA Affiliated Associations Award and OCPA Lifetime Achievement Award. Julie would be honored to have the opportunity to continue to serve OCPA in its continued mission to facilitate paralegal education and advancement of the paralegal profession.